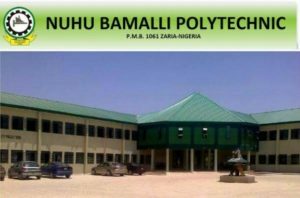 Nuhu Bamalli Polytechnic (NUBAPOLY), Zaria has Announced The Resumption Of Academic Activities For 2nd And 4th Semester 2017/2018 Academic Session. This is to notify the public, the students and the general Staff of the Nuhu Bamalli Polytechnic that the management has fixed the resumption date for academic activities of second and fourth Semester for the 2017/2018 Academic Session. The Management in their meeting decided that the Academic Activities for 2nd and 4th semester will commence on Monday, 9th July 2018 while all students and staff is to be around the shool premises on Sunday, 8th July 2018. As lectures Starts On Monday, 9th July 2018.